Charging for something is selling. Giving something away for free is sharing. Those who chose to give stuff away for free (and I am one of those) should realize that "free" usually means no obligation whatsoever. None. Nada. Zip. Any non-enforceable license is not a license. The "leave a comment license" is not a free license--you are requesting payment in the form of comment. But you have no way to enforce the payment. How can you enforce the terms of the license when you do not restrict access to the content you are licensing? In short, you can't. Yes, it is a very small fee, one that doesn't demand much from the user and shouldn't be that big of a deal for the end-user to fulfill. But because it is so small, it is not seen as worth doing; if the cost is a comment, it's damn near close to being free anyway, so why even leave a comment, even if it is the "right thing to do"? In short, you can't enforce moral behavior without a requiring something more than the guilt of not leaving a comment. 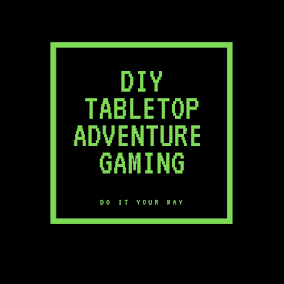 What you can do instead is what Geoffrey did with Carcosa, what Doug did with Savage Swords of Athanor, what James did with World of Onn, what Matt has done with S&W: use the social media platform of the Web (blogs, forums, etc.) to give people just enough to tease them into a purchase. Sometimes that means giving away the PDF to drive traffic to higher-priced print product. Sometimes that means giving away a "lite" version of a product (NOD & Pars Fortuna Basic, S&W Whitebox, etc.) in PDF in the hope of driving traffic to a more complete version of the PDF or a print product. Essentially, blogs are terrible places to get detailed feedback on a product or release. Forums are better--because you can keep track of threads & discussions in one central location--but better yet is intense peer review among a small cadre of playtesters, either via email, wiki, etc. Having a cadre of reviewers and testers before release is a much better feedback method. For example, I'm heavily involved in peer reviewing a textbook for the college composition market right now (I have an NDA, so I can't disclose the publisher or the project details). The editor emails us chapters in progress, and we provide feedback via an online survey site where specific questions are asked of us and we have to type detailed comments in addition to simply giving scaled ratings. The whole process of reading, commenting, and providing feedback on a chapter takes about a week to complete. Then, we are sent a new chapter. And sometimes we are sent a revision of a chapter we have already worked on. In short, review, commentary, analysis, and feedback are all part of a slow process. And it SHOULD be a slow process. So, here's an idea. I don't know if it'll work or not. Post your release, for free or for sale. Draw attention to it. Then, let it go a few weeks. Then come back and ask folks who visit the blog what they think about what you posted and ask for specific comment. Ask questions about the kinds of feedback you want. We tend to post something to a blog and then forget to draw attention to it again (there are exceptions, of course, like Greg over at Errant and George Strayton working on his L&L project). In other words, detail for us the kinds of feedback you want. If all you want is a pat on the back and an "atta-boy! ", then I think you'll get it. If you ask a specific question— i.e., "How does how I explain the dice rolling mechanic to determine initiative in unarmed combat affect the time it takes to complete the combat round? "—then you are more likely to get substantive comments you can use to revise or improve what you have released. The question is quite simple: is your blog a personal platform, a development platform, or a marketing platform? Or a combination of two of the above? Or a combination of all three? And if a combo, then how much of each? Then and only then can you decide if, how, and what to charge for what you write, post, and develop. As for me, I'm going to keep giving things away for free. The moment I start collecting money, I turn into a business, and then the IRS starts getting involved and I don't want to deal with that. I'm a hobbyist, and I like staying a hobbyist, and my doing projects with other like-minded hobbyists is my way of "giving back" to the community that I have gotten so much out of it. I do not begrudge those who want to get something in return for their time and efforts. Only they can be the judge of what is fair and equitable compensation, or even if they want to be compensated at all. I willingly support those who have a consistent track record of churning out good stuff. I don't make much of a distinction between "professional" and "hobbyists" anyway--our corner of the RPG scene is too small for that, and technology allows most hobbyists to churn out professional quality work if they decide to put the time and effort into it. And yes, those folks should be the ones deciding how they like to be rewarded--whether it is cash or download count or atta-boys. Or all three. And thus, I come back to my original comment: do good work. The rest will follow. It is a topic that bears much consideration. 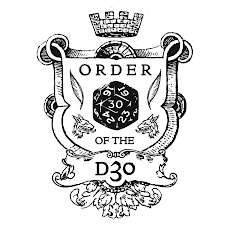 I usually think of the OSR as largely (if not primarily) a gift culture, wherein any individual who freely releases their work increases the wealth of every other member of the community. Of course, I don't have any problem with people who decide to charge money for their work (particularly when the prices are reasonable).